Skills offered: Strategy development; facilitation; coaching. Current community involvement: Coaching and mentoring of young professionals in the public and social profit sectors. Skills offered: Leadership; developing relationships with new and existing stakeholders and partners; developing businesses and our people; delivering strategic vision; financial management of our businesses. Current community involvement: Chair of a Maori land trust. Skills offered: International business / exporting; sales; marketing; mentorship; governance; strategy; entrepreneurship. Current community involvement: Founder, Waterfall Foundation. Skills offered: Creative thinking and problem solving; out-of-the-box strategy; matching business/corporates with creative thinkers or initiatives; event management and production; grant writing. Current community involvement: Mentoring emerging arts companies and producers; youth mentoring. Skills offered: Mentoring; leadership; safety and risk management; negotiations; engineering; strategic planning; people development; facilitation. Current community involvement: Refugee Angel; Chairperson, Education of First Trust. Skills offered: Mentoring; initial network contact within New Zealand Defence Force; people management; strategy to cope with those tough conversations that need to be had. Current community involvement: Upper Hutt Time Bank; Skylight Trust. Skills offered: Speech-Language therapy assessment for communication and swallowing disorders; communication confidence coaching for presentation skills and public speaking; NLP master practitioner. Current community involvement: Mentor for YWCA Future Leaders programme; Forgotten Felines volunteer. Skills offered: Volunteerism & working with volunteers; leadership & governance in the community and voluntary sector; facilitation & public speaking; workshop design & delivery; strategic planning; mentoring. 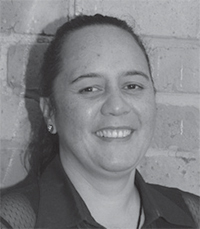 Current community involvement: Committee member, Fertility NZ Wellington; playcentre; Tuakana Mentoring Programme. Skills offered: Governance; financial and commercial expertise; strategic planning; risk management and mentoring. Current community involvement: Board member, Family Planning Council; Chair, Christchurch Early Intervention Trust; board member Cathedral Grammar School. Skills offered: Entrepreneurial and strategic thinking. Current community involvement: Board Member, Australasian Timber Flooring Association. Skills offered: Grass-roots connections; spiritual direction; community overview. Current community involvement: Board member, Papakura Normal. Skills offered: Strategic and business planning; change management; people management; agricultural systems; strategy development. Current community involvement: Board member, Pukaha Mount Bruce. Skills offered: Broad commercial experience including skills in: strategy; financial analysis; general commercial analysis/problem solving; diverse stakeholder communication and relationship building; negotiation; project management. Current community involvement: Grey Lynn Primary School Board of Trustees. Skills offered: Mentoring; planning; financial management; governance; process change. Current community involvement: Mentoring young professionals. Skills offered: Strategic planning in the not for profit sector; leading teams; partnership collaboration. Current community involvement: Board member and secretary general of Oceania Paralympic Committee. Skills offered: People management; facilitation; education. Current community involvement: Executive committee for sports club. Skills offered: Community development; youth work; fundraising; strategic planning; Tikanga Maori; Te Reo Maori. Current community involvement: Board member, Ngati Ranginui Iwi Inc; chair, Poututerangi Marae; whanau member, Te Kura Kokiri; whanau member, Te Kohanga Reo o Te Akau. Skills offered: Strategy; planning; leadership; facilitating change management. I enjoy working with and developing high performing teams to deliver and maximise performance. Current community involvement: Coach for my son’s soccer team; active volunteer at my children’s school. Skills offered: Business development; strategy; new business ventures; building performance culture; collective engagement and decision-making approaches; transformational change; purposeful change management; performance management and accountability; project and programme management; mentoring and coaching in running a SME in public sector; health and central government knowledge and experience. Current community involvement: Director, Action Indoor Sports; board member, Enviroschools Foundation; assisting local school and children’s sporting groups; interest in disability issues. Skills offered: Understanding of not-for-profit; management of youth initiatives; primary and ECE sector; sport sector; stakeholder relationship management. Current community involvement: Board member, Sport Waitakere; Board member, Westy Trust; Trustee, North Shore Pasifika Youth; North Shore Pasifika Festival; Samoa sports. Skills offered: Governance; operation and business management; mentoring and coaching; strategy and planning; organisational wellbeing; networking and relationship building; project management; policy analysis and review; advocacy; Samoan interpreter and translator; communication; event coordination and management; parent volunteer for various schools; community and sports fundraising projects. Current community involvement: Congregational Christian Church of Samoa EFKS Grey Lynn member; Sunday school teacher and youth volunteer; Rise Up Trust life member; board member (Pasifika) Mt Albert Grammar School; board member, Mangere Community Law Centre. Skills offered: Governance; entrepreneurship; community engagement; strategic thinking. Current community involvement: Running a community social service. Skills offered: Policy development; coaching; mentoring. Current community involvement: Group fitness instructor at community gym. Skills offered: Strategy formulation; strategy management; business model development; quality and process improvement; corporate responsibility. Current community involvement: Board member, Wesley Community Action. Skills offered: Consulting in social innovation; strategic thinking; creative thinking; coaching and mentoring; organisational and people development; diversity leadership; leadership development; group facilitation; speaking; communications and social media. Current community involvement: Patron, Rainbow Youth; facilitating diversity conversations in schools; informal mentoring; arts access advocacy. Skills offered: Deaf/disability lens; cultural facilitation; strategic development promoting attitudinal and environmental inclusive practices. Current community involvement: Deaf community; disability community. Skills offered: Museum learning; volunteer involvement; community involvement. Current community involvement: Working with NZ Japan Society of Auckland Inc on the upcoming Taste of Japan event; working on The Expert Sessions programme at AWMM. Current community involvement: Ship Wreck Relief Society. Skills offered: Team leadership; business change management; strategy; SLA management; project/programme management practitioner (Prince2); Six Sigma/Lean; IT management, IT governance; ITIL – service operation/design/strategy/transition and continual service improvement. Skills offered: Accounting; audit; risk management; mentoring. Current community involvement: “Women in business” mentoring of students at University of Auckland business school. Skills offered: Property development; asset management; strategic analysis; planning and implementation. Current community involvement: Coach of junior rugby and cricket. Skills offered: Customer focused leadership; uniting teams in a common direction; ability to see a job through to completion. Skills offered: Ethnic communications; business development; youth development; community led development. Current community involvement: Pacific communities; local community initiatives.